Welcome to the Geauga County 4-H Advisory Committee WEB site! 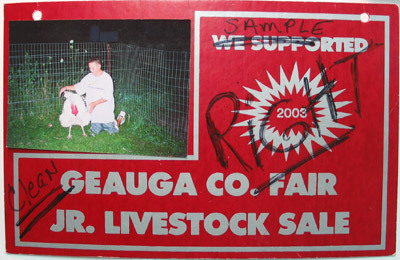 The Committee provides this site for the 4-H clubs of Geauga County, Ohio. If you are not familiar with our clubs, we invite you to use the clubs link to the left for information. Club members will also find useful information in the clubs area. 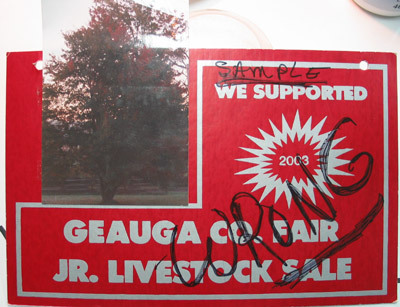 Be sure to also check out our Geauga County 4-H events. If you are preparing for Skillathon or Interview Judging, our interactive pages will help you develop and test your knowledge. Club advisors are welcome to submit material for this web site. Use the link at the bottom of the page if you would like to contact the webmaster. Click on Geauga 4-H Extension link for current events and news. Please check the photos below for the proper way to mount your animal photo for the fair.